Quality: Peel should be free of insect damage or bruising. 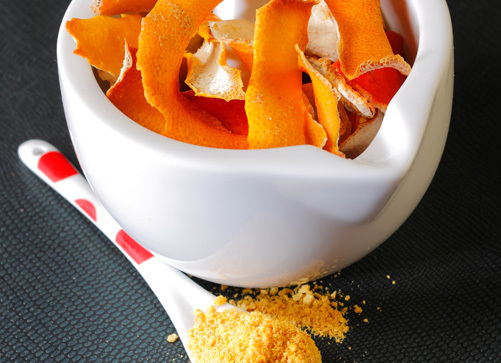 Peels of citron, grapefruit, kumquat, lime, lemon, tangelo and tangerine can be dried. Thick-skinned navel orange peel dries better than thin-skinned Valencia peel. Wash thoroughly. Remove outer 1/8 inch of peel. Avoid white bitter pith.